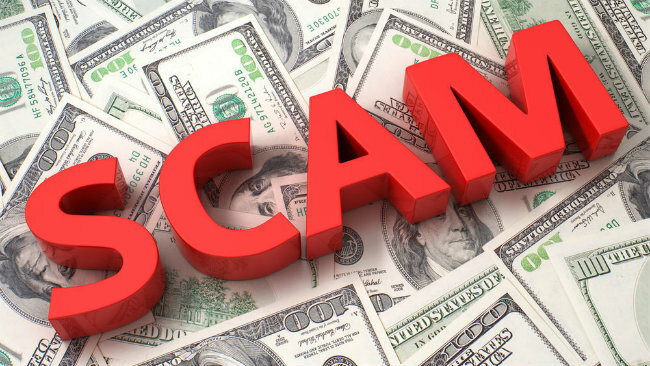 Once again, it’s time to bring you three scams from across the country that could potentially affect you in your area. One scam that is being reported out of Raleigh, North Carolina is called a brushing scam. The scam may seem innocuous at first but has the potential to be costly. In the brushing scam, online retailers will send you a product of their’s unsolicited and at no charge to you. It’s all part of an international scheme to try to get favorable reviews online so the company can boast of getting higher star ratings. While getting free stuff sounds like a great deal, the products are often shoddy or something you have absolutely no use for. The potential for abuse comes from the fact that someone may have opened an account in your name to have the products delivered which could lead to fraudulent charges. In northwestern Iowa a phone scam is proliferating that threatens to send you to jail if you don’t pay a fee. In this scam, someone calls you posing as a county authority accusing you of skipping out on jury duty then demands a fine from you in the form of a gift card or PayPal payment in order for you to avoid arrest. If a government body has any kind of issue like this more often than not they will send you something in the mail rather than calling you, and as always you should never make payments over the phone using gift cards as they are virtually untraceable once the serial number is given out to someone. If you receive one of these calls, hang up and contact your local law enforcement. The last scam for today is not only pretty scary but could end up costing you your life savings. A man in Massachusetts was getting ready to close on a new house. He was waiting for an email on how to make the final payment. He first received one email with the proper instructions then almost immediately received an identical email stating that the previous email was wrong and for him to wire the money under these new instructions. It turns out the man wired $300,000 to a scammer who had gained access to his email account. According to the FBI in Boston, this scam has cost potential homebuyers $53,000,000 just across Massachusetts. If you receive emails like this contact the financial institution or realtor you’ve been dealing with immediately to determine which of the instructions is the correct one.